Some analysts have questioned the US$7.9 billion tax bill that Zambia Revenue Authority has slapped on First Quantum Minerals describing it as unrealistic. ZRA this week handed First Quantum Minerals Ltd. a $7.9 billion tax bill and said it’s planning an audit of other mining companies going back six years. FQM’s shares fell as much as 13 percent in Toronto, the most in almost two years, when its stock was halted ahead of the company’s statement. “The company unequivocally refutes this assessment which does not appear to have any discernible basis of calculation and will continue working with the ZRA, as it normally does, to resolve the issue,” it said. But Stephen Walker, Head of global mining research at RBC Capital Markets said the proposed tax assessment is unrealistic. The Zambian government has struggled with fiscal deficits in recent years and failed to secure a $1.3-billion bailout from the International Monetary Fund. That could be behind the tax assessment, Deutsche Bank AG analyst Patrick Jones said in an emailed note. Zambia’s tax bill to First Quantum is likely an opening parry in a negotiating process to obtain greater revenues — “a high-ball first offer,” according to David Manley, an economist with the Natural Resource Governance Institute in London. “This also feels very much like the Tanzania-Acacia dispute,” he said in an email, referring to a dispute that began last summer when the East African nation sent a US$190 billion tax bill to Barrick Gold Corp.-subsidiary Acacia Mining Plc., and which remains unresolved. “The government accuses a company of a very high, seemingly impossible amount, then a protracted battle across many fronts develops,” Manley said. Manley suggested that ZRA likely know that they won’t receive US$7.9 billion. “Perhaps the final bill won’t be as high as ZRA is asking, but it at least signals a determined desire from the government to get more money for Zambians,” he said. BMO Capital analyst Alex Terentiew said while there are a ‘lot of unknowns,’ preliminary assessment suggests the company’s operating costs in the country could rise by as much as eight per cent. “A hard push by the government could risk future investment,” Terentiew told clients in a note, but added that the risk of a significant “cash grab” by the government was low. And FQM Chief Executive Philip Pascall jumped on a hastily arranged conference call on Wednesday to soothe investors about the tax bill. Mr. Pascall rejected the US$7.9 billion figure which is more than two-thirds of the company’s US$9.5 billion market capitalization. He declined to describe the worst-case scenario for the company, which derived 83.5 per cent of its revenue in 2017 from mines in Zambia and is hoping to develop a third mine in the country. The company said its annual tax payments to the country vary, but claimed it pays $200 million in annual royalties. “We do have cash available to pay what we would expect to pay, if at all,” he said to one question about how First Quantum might finance a payment of even several hundred million dollars to Zambian authorities. The company has US$1.29 billion of cash in hand, according to its latest filing. Mr. Pascall said the US$7.9 billion fee included a US$150 million assessment, US$2.1 billion in penalties and $5.7 billion in interest. He estimated four to six months to review the bill. Next articleShould Social Media be Regulated? When the tables turn, the white man shivers… We want what belongs to us. ZRA tax them more… The West is the master of deception, giving us AID to blind us from the billions we give them in tax evasion. Don’t stop, if they threaten to close or lay off jobs, they should give us back the mine. We the young generation are ready for the challenge. Thieving Analysts! Let this not be a battle of words. Let it be of numbers. And yet we know that even numbers can be cooked. How much have these whites stolen from Africa? How much are they going to continue stealing? @Juzz you Jerabos need to think of getting employed. Not grabbing mines, mines are not in your villages which are yours. Being born in Mindolo can’t be a reason to claim it’s your copper. Ni copper yakwa noko? @Matungu, hoo so rates are based on race like tribes? I hear you when you say we must get back what rightfully belongs to us but there must be a clever way of doing this. 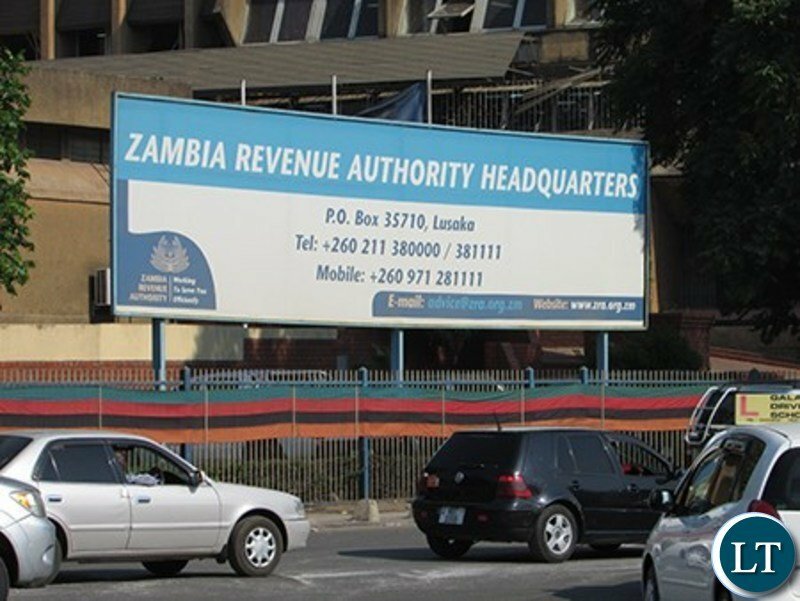 It seems as if ZRA is in a heated rush to recover deficits of a tax system that has been in place for years. You don’t attract investors with prospects of a tax heaven and then turn around and start running them down to give you more than you demanded first. It is indeed “a hard push” by the government and we might risk all our future investments if we are not careful. Whats laughable about this ZRA tax assessment on closer inspection is that its larger than Zambia’s entire annual government budget. ..how is that possible? Does PF simply want IMF to call them to the negotiation table….whatever it is its a dangerous game!! Yes, it is possible. Why not? @Juzz, This is how a proud Zambian writes and not those puppets blaming your comments. Give Zambians What belongs to them. What an exaggeration???? $7 billion tax bill, that is like paying $1 dollars pay fire-truck. What’s this outbreak of “theft”, from PF IlundaChalo LTD at State house to now “professional” ZRA? Philip Pascal is not Fred Mmembe. Are you a genuine Zambian or just someone who is always political in every situation? What makes you think it’s impossible to owe that figure. Have you got any basis for your argument or as usual anything PF is unholy for you. Why don’t you just wait for the outcome of the inquiry? According to you what’s the correct bill? “A hard push by the government would risk future investment “. Doesn’t that sound like the old threats? Any well meaning Zambian must rally behind ZRA regardless of political affiliation. Let’s examine the documents by ZRA instead of simply singing unrealistic. No wonder the IMF is reluctant to fund us because we find borrowing kaloba easier than collecting due taxes. The innuendo about politics being behind the move should not be entertained. A true or well meaning Zambian is not a theif. I am not going to help you in robbery. I prefer violence than stealing. Sorry @Ndanje on this one am with Canadians. Nostradamus, that’s your choice but I can say that it’s very disappointing to see people accusing government of failing to control foreign investors and when government acts the same people are quick to defend the foreigners. From the little info from the boss at QFM he seem to know some thing about the issue at hand,he sounds reconciliatory about the issue. The only problem i see here are the doublestandards by Zra,if it i our small companies involved as a clearing company they would ve already suspended the license. then thsy are compiicit should therebe a case proven. That’s your opinion and I respect it. @Masalamuso after consultation, I agree it’s political. ..yes the IMF is behind that’s what makes it political. …the IMF have done an audit and discovered that government is owed billions of $$ in various taxes by the mines. So the IMF have told government ” go collect those dollars instead of coming with your cracked begging bowl. …” That’s where the alleged political hand stops. Yes, the FINAL FIGURE MAY NOT BE EXACTLY $7.6 Bn but IF THEY HAVE BEEN CAUGHT “STEALING” as is looks from the speech from their CEO, then they have breached trust and must be punished!! FQM and other mines have all along enjoyed preferential treatment reserved for trusted taxpayers so if they flouted that for years, THEN THEY SHOULD PAY THE PRICE!! Some are question how $150m jumps to $7.6Bn? ?- but ZRA including FQM have explained that there are INTEREST and PENALTIES, and these are accrued over a period of 5 years!! PLEASE GET IT, the calculations MAY not be accurate, BUT PENALTIES are SEVERE and INTEREST COMPOUNDED OVER TIME IN ZAMBIA WHERE THE INTEREST RATES CAN BE AT TIMES AS HIGH 40% CAN BALOON millions to billions!! THESE ARE THE SAME CROOKS OWING ZCCM$1Bn- a case in court!! Juzz good points. Let them assassinate us but we should not relent. This is all known even by many companies and Investors that Zambia is in huge debts that is why they are trying by all means to get money even to the poor who have not benefited from their theft and corruptive ways. For the uninitiated, most of this big mining companies are crooks and that’s why they are not given free reign in countries like Chile and Peru. At the height of privitizing the mines, the only company that paid in full and upfront was a small mining company owned by South AfricansAfricans because its owners were very new to the business. They have been paying taxes and everything government asks for while Mopani, KCM have always been advancing excuse after excuse. Without condemning ZRA, let’s just wait for the outcome of this issue. Tax collection should target these multinationals that rip us of our resources and leave trenches with minimum tax paid. Politics aside, FQM have been caught pants down and they should be made to pay every cent. Why should we be subjected to a wanton and myriad of obnoxious taxes never seen before and yet our minerals are fetching colossal amounts on the international market? Political will is what is needed and not political prostitution of moving with a begging bowl all the time when we are endowed with abundant resources. Whether you are PF or UPND, this is a matter of life and death enough is enough. Someone bought a mine in Zambia without paying cash. He only paid after making profit from the same mine. Why not give that mine to a Zambian and allow him to pay after making profit? For once African should stop been cry babies all the time. Do something for yourself instead of blaming others all the time. We blamed colonialism how long has Zambia been independent yet you want to blame the same colonialist move on Zambia let’s see what you can do period. Zambias entire copper output from all mines is 800,000 tons per annum worth $5,6bn. A single company could not have imported $30bn of spares, whereby duty at 15% would come to $7,6bn. Lets think it over. Output of $5,6bn and spares and consumeables used of $30bn ? BUT what is apparent…. there IS a large figure, it was crookedly evaded. Maybe $10m maybe $1bn. Who knows ? But whatever it is, FQM must pay and ZRA must recover. Please refer to how Gupta and Zuma brought in Pottinger company from UK to run a smear campaign against Pracin Gordhans firing. Pottinger has crashed after their involvement was headlines all over the world. Such huge profit margins, imagine if this firm was wholly owned by Zambians. The rules of business these Global Companies are the same as any the raise money from the markets like we do with our banks then invest- its the same wealth building blocks…North Western was sitting there years ago only renowned for growing pineapples, our so called millionaires were investing their millions in Buses and Trucks instead of these places. Look at that silly Indian at KCM, he didnt touch any of his money instead the very mine bought paid off his $25 million…the Kavindeles were fixated with Railways and merely just being guys who connect deals and receive coins. You have all been wondering what President Lungu meant when he said “uubomba mwibala alya mwibala”. When our fiscal position is in trouble we go to Northwest Province copper Fields for a solution. In fact the bulk of it is interest. The converse is also true that Zambia / Africa suffer similar penalties send interest charges on some bogus loans we contract from especially the West. “Pseudo Bembas have mis interpreted this saying” ask the real Bembas. I want ZRA to move in as fast as they can and liquidate FQM. Come on ZRA bring in the folk lifts and angle grinders and we can tell Mosho to sell all the scrap metal remaining after up-rooting all the machinery to China. Mr. Pascal don’t be histerical, just own up. Our colleagues are in the business of profit making. Mr. Pascal must be told in no uncertain terms that Africa is not the same one they colonised a long time ago. These miners (Pascals) are all there for the profits, which is ok, but the owners of the minerals must also get as much as possible ( Fair share). We know that there has been a lot of shode deals of selling minerals to third party at very low prices to maximise on profits. This can not continue. The world has changed. We need investors yes but credible ones. Dont talk about Zambian debt you Pascal you must just own up period. dollars of penalties and interest can go away coz we need the jobs they create and the forward and backward economic linkages they are proposing in the MFEZ at Kalumbila. Most of the figure is interest and penalties. When caught by the taxman, ask for leniency to waive the interest and penalties and pay up. Otherwise you end up like Mmembe or Kambwili as things have started. These guys ignored the tax amnesty at their own peril as are some ranters from that side of the political divide. ” Stephen Walker, Head of global mining research at RBC Capital Markets said the proposed tax assessment is unrealistic.” As much as the ZRA are stretching this a little bit lol. We as Zambians need to hold hands and support ourselves and our continent. ZRA has just scratched the surface of wealth looting by these mines. Ask them to reveal the true profits made from these mines and the £7 billion will look like pocket change. How do you win when this tax game was invented by the very people who bend the rules? Now watch how FQM will use its influence to avoid paying this tax. They can pay our government a few millions to make this problem go away and it’s business as usual for them. It’s disappointing to see how politically inclined citizens have jumped to the defense of QFM when all along they have been calling ZRA as a toothless institution where foreign companies are concerned. Why not let ZRA conclude it’s job whatever the results instead of calling them names. Thanks.